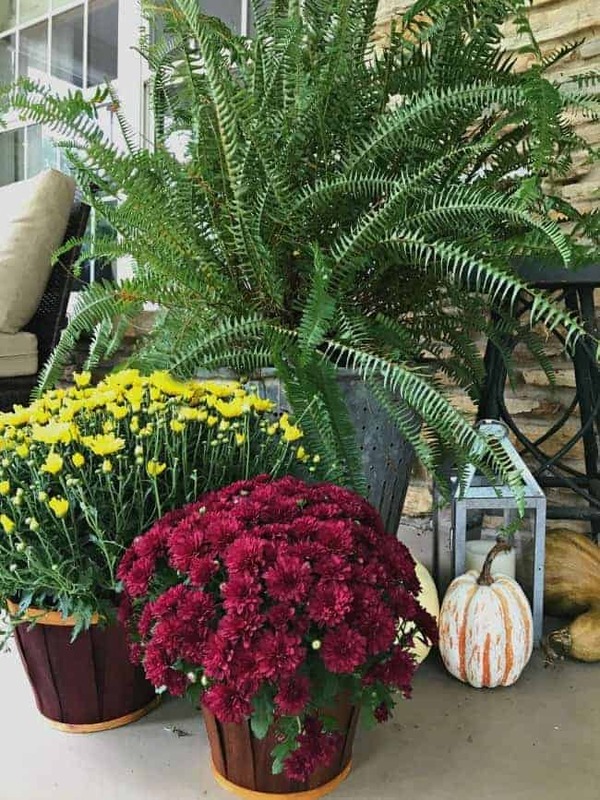 One of my favorite things to do when fall comes around is to decorate our front porch. It’s not an overly large space, but it is covered and cozy and the perfect spot to enjoy the fall weather. 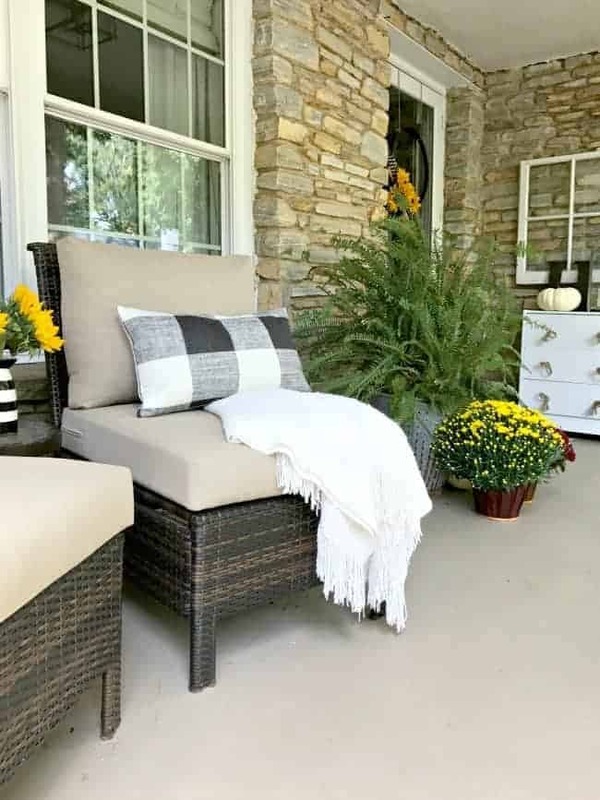 Instead of just giving you a tour of our favorite place to hang out when the weather turns cool, I thought I’d share my 5 tips for creating a welcoming fall porch. I usually keep my fall color pallet pretty simple by picking one color and spreading it arounds to a couple of different spots on the porch. This year I chose yellow with a small touch of burgundy. Of course I kept my ferns, that I got in the spring, because they are still full and pretty. 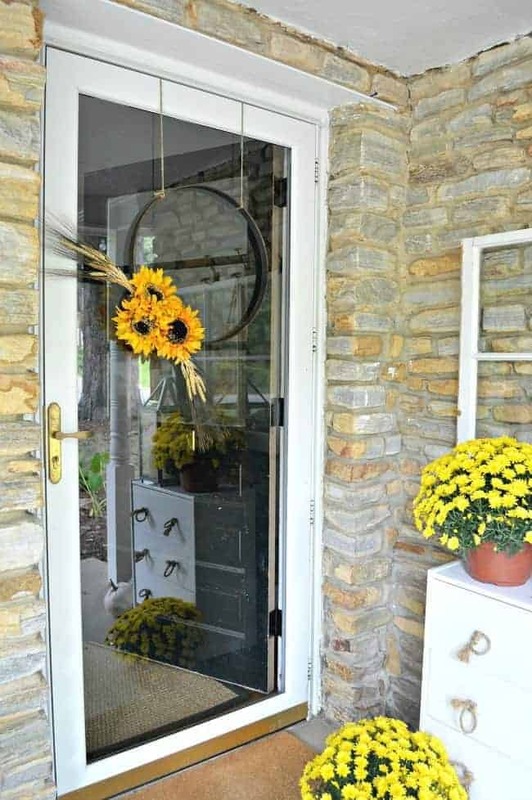 Nothing says welcome like a pretty fall wreath on the front door. You could always make one and personalize it to your taste, but it doesn’t have to be homemade, or complicated. I made our wreath this year, here, but there have been more than a few times I’ve used a basket and just added branches of leaves from the trees in my yard. 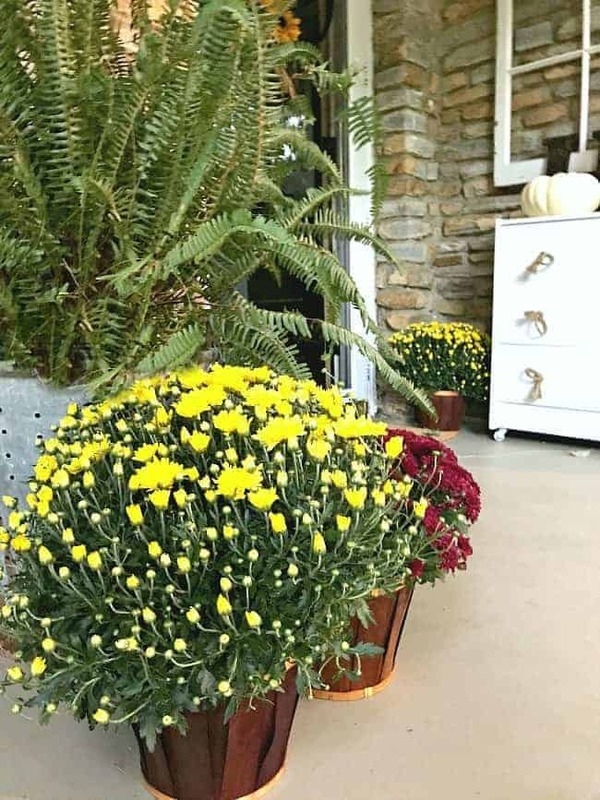 It’s quick, easy and cheap, and adds a bit of fall color to the front door. Not feeling crafty? There’s plenty of places to pick one up. Not everything needs to be handmade. Our porch isn’t a large space but we are able to accommodate seating for two. I like to bring a couple of pillows out from inside and a throw for those chilly fall nights. Even adding fresh flowers or a vase with branches from the yard will add to the cozy feeling. It’s our favorite spot to hang out or talk with neighbors when the weather turns cool. 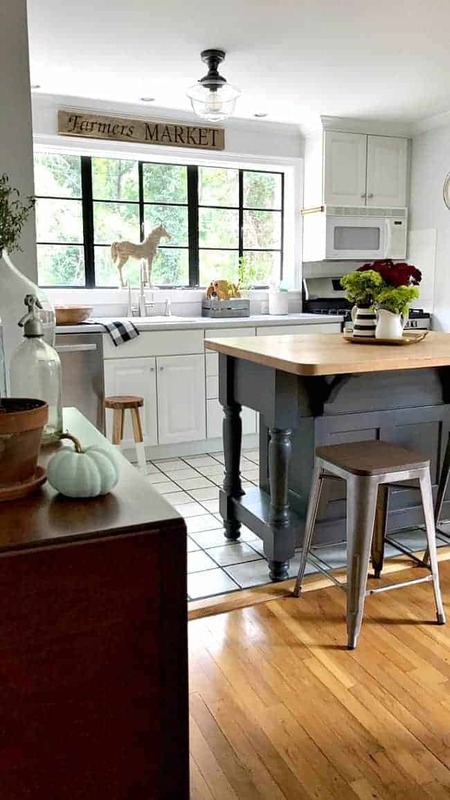 I’m all about using the real deal to decorate but sometimes it just makes sense to use faux. For instance, I love to see candles flickering at night on our front porch. When we’re outside enjoying the space I light real candles but when we’re not, faux does the trick. You get the same effect without the worry that the house will burn down. I feel the same way about using faux pumpkins. Fall stretches through several weeks and it’s still warm in North Carolina. There’s no way real pumpkins are going to hold up so I pull out the faux. I usually buy a big pumpkin right before Halloween, but that’s it. 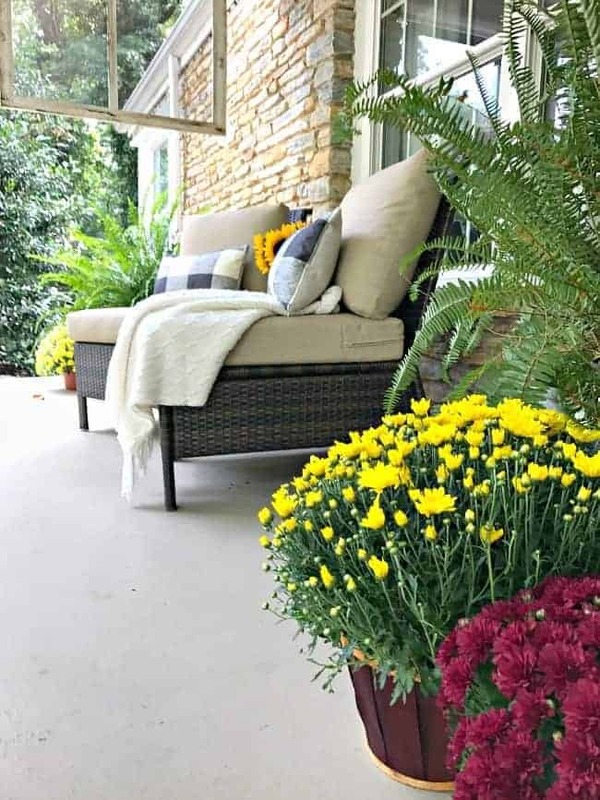 Creating a welcoming fall porch doesn’t have to be complicated or expensive. With the exception of the 3 mums and 3 sunflowers, everything I used to decorate the porch this year I already had. 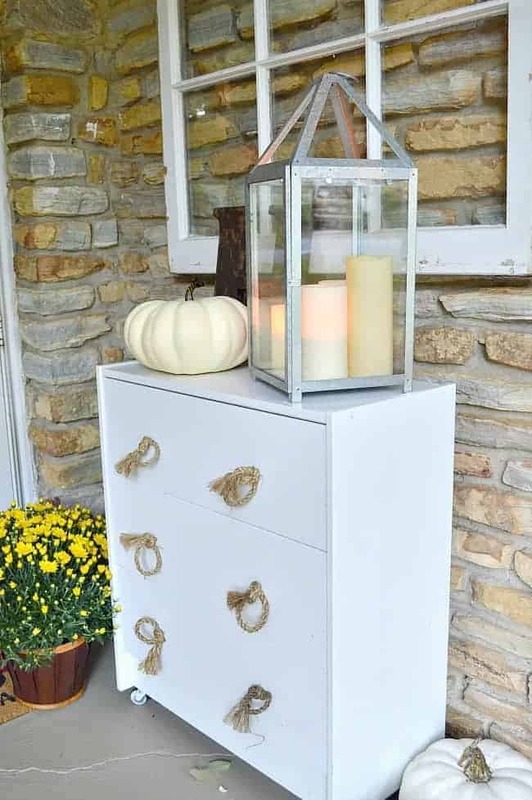 How do you decorate your porch for fall? Any tips to add to the list? 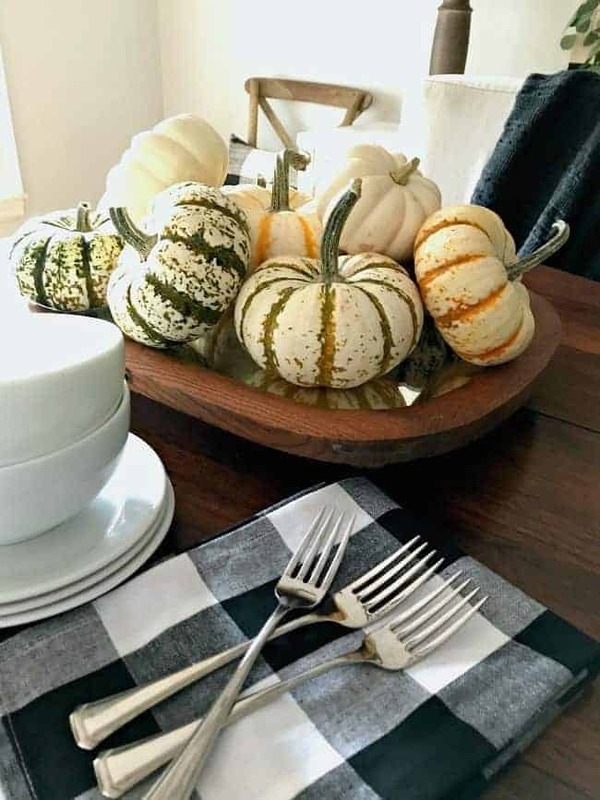 I’ve also shared my fall home tour, here, and a mirror turned fall centerpiece, here, if you want to check them out. 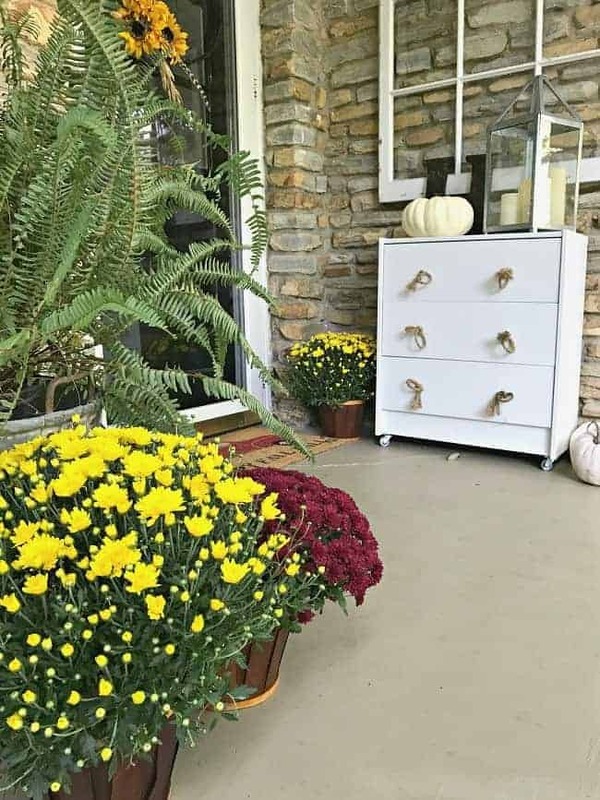 Your Fall porch is truly welcoming. 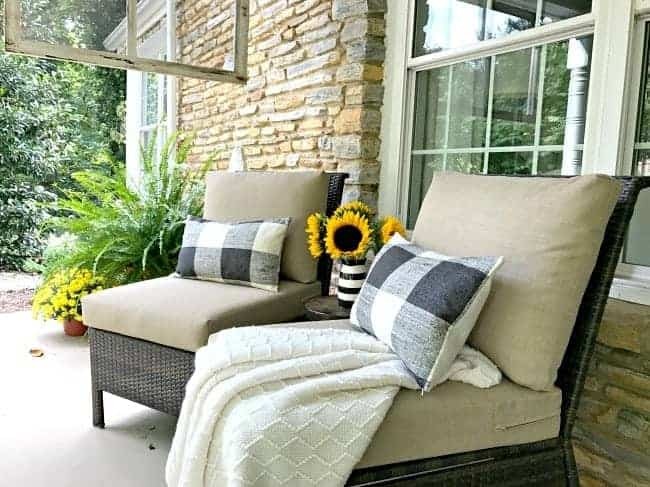 I love the all-weather wicker slipper chairs! Your pretty post makes me wish I had a porch! Very pretty! I use faux pumpkins at first too – and then switch to real a week or so before Halloween. We don’t carve ours until the day before Halloween because the deer come and have a feast if we leave them out! 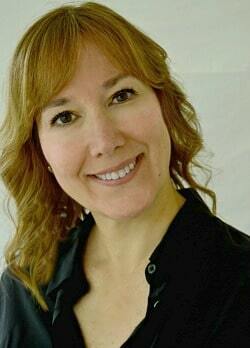 Thanks Shelley! I used to put our pumpkins out early when we lived in Chicago but the squirrels would have a field day with them. 😉 In NC it’s just too warm to have them hanging around. I’m even having a hard time keeping my mums alive. Thanks for stopping in! Happy weekend! Well, if i didn’t live all the way in Okla. i’d stop by and set with you on your beautiful porch. Thanks and have a great week or maybe a peek at the powder room. Love your little “porch”. 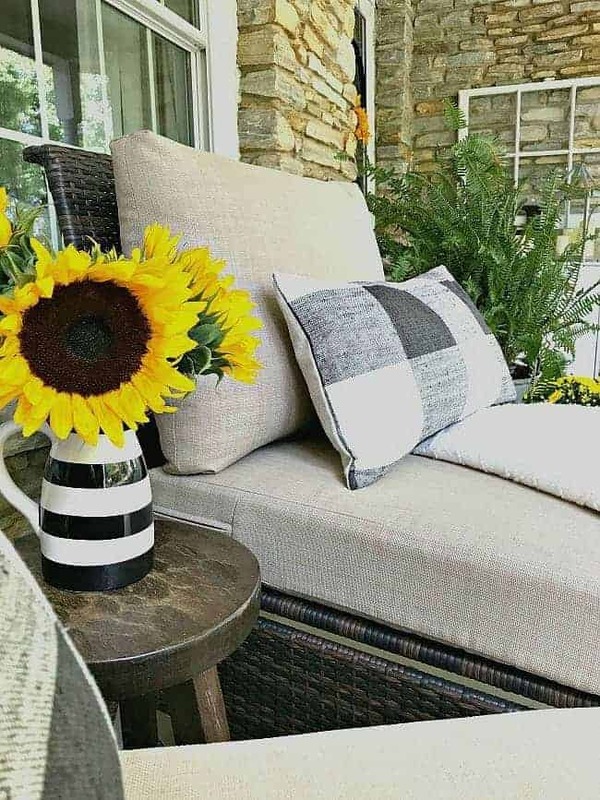 I would love to put cushions or pillows on my little “porch” but with our northern weather it would be a mess in no time at all. In fact, we had some rain with a lot of wind over the weekend and it knocked down a huge potted tree I had in back and in front it knocked over my huge mums. I wonder, do you have that problem?